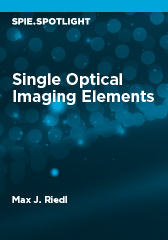 This Spotlight explores ways to address axial imaging limitations, i.e., spherical and chromatic aberrations. For the reduction of the additional, so-called primary aberrations, coma, astigmatism, field curvature, distortion, and chromatic aberration, more advanced methods have to be applied. In an extended field-covering system it is frequently necessary to balance the aberration contributions to avoid the predominance of one or more specific image spreads. Besides the most common lens with spherical surfaces, the benefits of an aspheric surface are discussed and demonstrated. Included in this coverage is the ball lens (total sphere) and the catadioptric Mangin mirror. This Spotlight explores ways to address axial imaging limitations, i.e., spherical and chromatic aberrations. In order to reduce the additional, so-called primary aberrations, coma, astigmatism, field curvature, distortion, and chromatic aberration, more advanced methods have to be applied. In an extended field-covering system, it is frequently necessary to balance the aberration contributions to avoid the predominance of one or more specific image spreads. In addition, the most common lenses with spherical surfaces, and the benefits of an aspheric surface are discussed and demonstrated. The ball lens (total sphere) and the catadioptric Mangin mirror are also covered.